Posted on December 1, 2014 by Katrina C.
December has only just begun, but I am already contemplating my New Year’s resolutions to eat better and exercise more. For many people, nutrition is the first step towards better health, and the new trend of increasing protein in your diet may be a good place to start. Protein is a hot commodity in the health food industry and is commonly used as a supplement in meals, shakes, and powders to increase caloric intake for various nutritional needs. Protein measurement is not only essential for its use as a nutritional element, but as a diagnostic tool in the pharmaceutical industry as well. Purified protein derivative (PPD) is generally used for detecting tuberculosis (TB) and requires exact measurements for proper application and usage. Purified protein has many different uses and applications, from foods to pharmaceuticals. It is highly valued for its role in the detection of tuberculosis as well as its use as a nutritional supplement. Protein measurement is necessary for these various medical applications, which depend on the precise calculation of absorbance values using spectrophotometers. The ability to quantify protein concentration levels delivers the necessary information for protein measurement analysis and usage. Researches use protein measurement for both purified protein derivatives and a variety of protein assays. Spectrophotometers are designed to obtain protein measurement is both forms and provide convenient and accurate results. 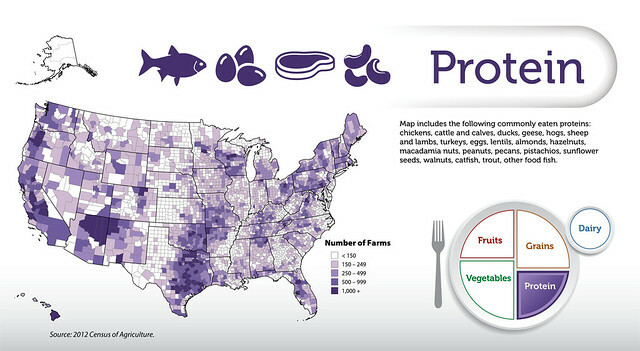 Protein is a readily abundant resource that is available from a variety of sources. Proteins can be derived from both plant and animal products and utilized for various purposes. Protein measurement values from these products are necessary for meeting the strict FDA (Food and Drug Administration) guidelines for daily value percentages (DV%) and proper labeling. Spectrophotometers measure absorbance values from the intrinsic chromophores tryptophan, tyrosine, and cystine (oxidized cysteine in a disulphide bond) to determine the concentration levels of protein in a given sample. A protein measurement with a low absorbance level can be very difficult to detect and only quantifiable through the use of light absorption measurement with advance spectrophotometric technology. Protein is an essential component of the human diet and readily available through a variety of both plant and animal resources. Proteins are often condensed into powder or supplemental form, and most commonly derived from whey, soy, and casein proteins. These are considered complete proteins because they contain the nine amino acids needed in the human diet. Whey protein has the highest level of water solubility for a complete protein and is readily used in the health foods industry. Spectrophotometric analysis of the concentration levels in these products provides the most desirable method for quantifying the protein assay. Not only are light absorption measurement methods quick and easy to perform, but they also offer the most nondestructive method available in protein measurement. Protein powders are very versatile and a desirable commodity in the health food industry. Spectrophotometers provide the easiest, most accurate and nondestructive methods for analysis. Spectrophotometers are by far the best option in instrumentation when it comes to protein measurement. Using light absorption to quantify the protein concentration levels in a sample are necessary for proper labeling, meeting regulatory standards, and for quality assurance purposes. Whether measuring concentration levels in purified protein derivatives (PPD) for medical diagnostic purposes or various protein assays for food industry applications, spectrophotometers are easy to use and versatile enough to accommodate a variety of applications. HunterLab is a leader in light absorption and color technology, and specializes in both food and pharmaceutical needs. Contact HunterLab today to find out more about the color measurement options that are right for you.